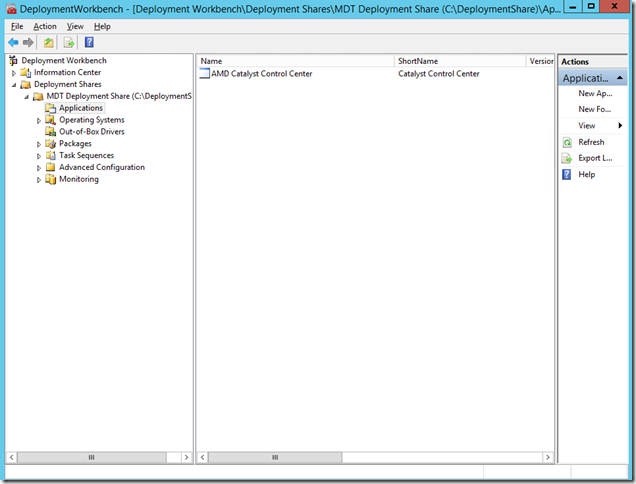 Type ‘Setup.exe -noui –install -output’ in the Command line field (unattended installation parameters for AMD Catalyst Control Center). 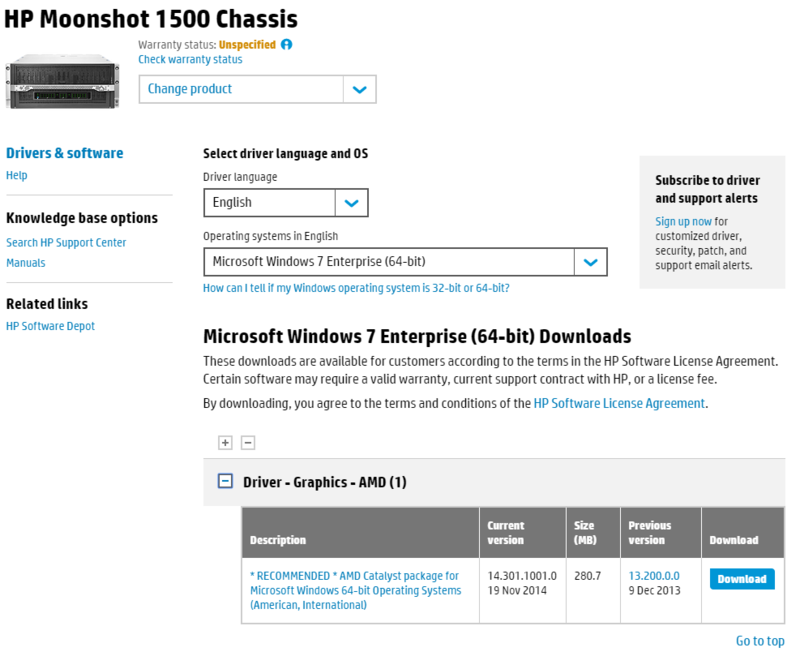 Click Next, Next, Finish. 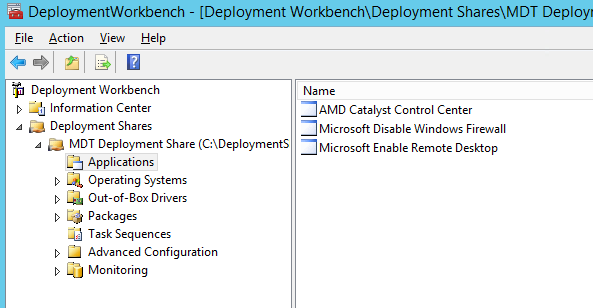 You should now see the AMD Catalyst Control Center application loaded (along with any others you had previously created). 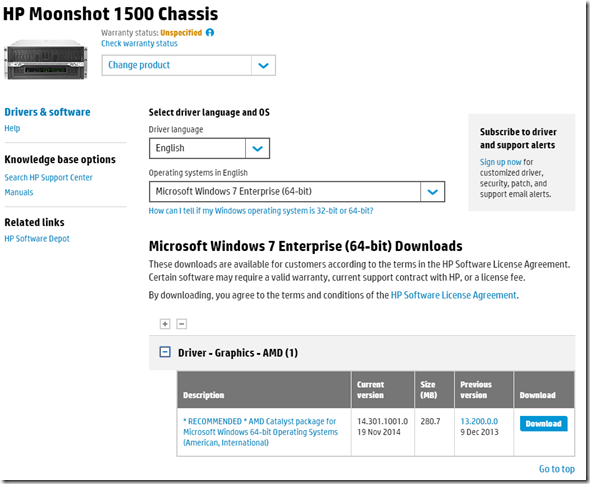 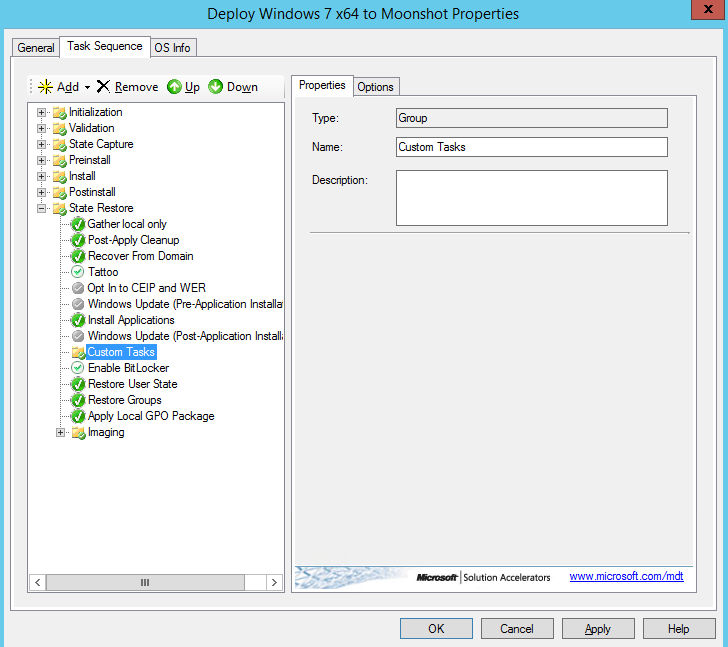 Now would be the appropriate time to add any additional applications such as the Citrix XenDesktop VDA, PVS Target Device Software, Microsoft Office, Adobe applications, etc. 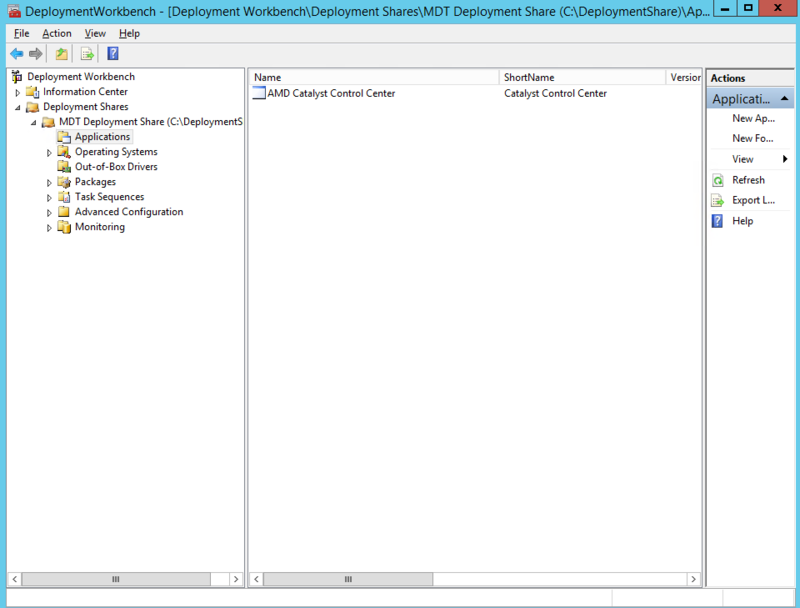 Select Single Application and browse to select the AMD Catalyst Control Center. 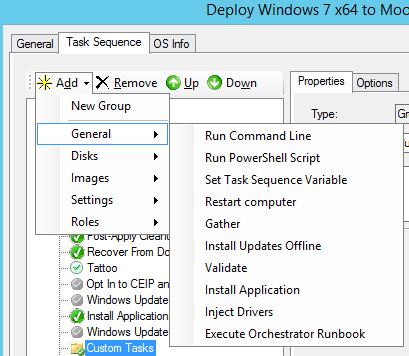 Optionally, you can change the Name of the task to keep it straight in a complex task sequence. 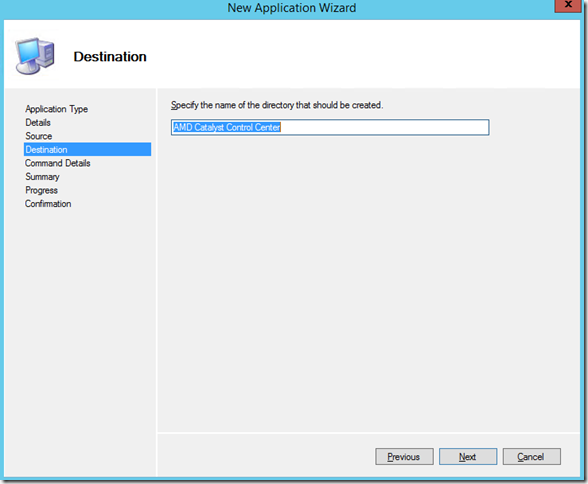 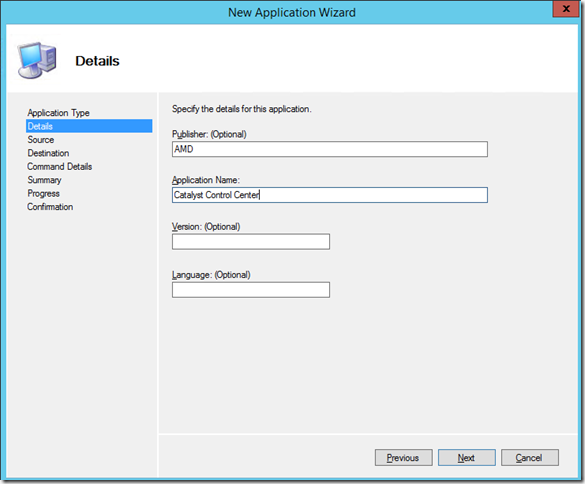 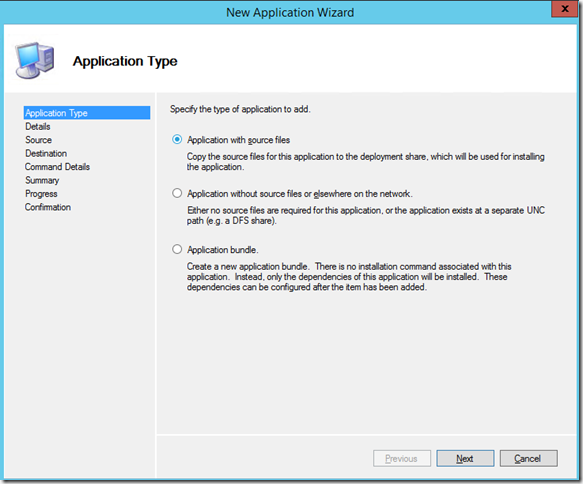 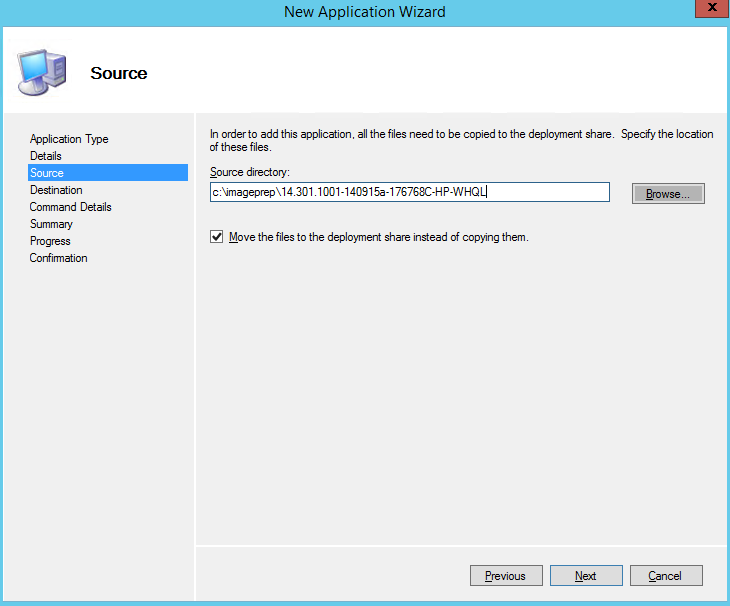 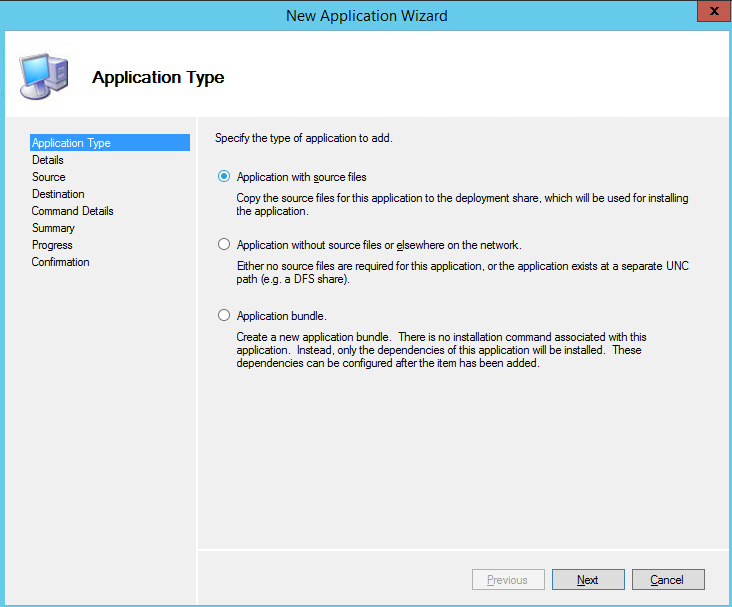 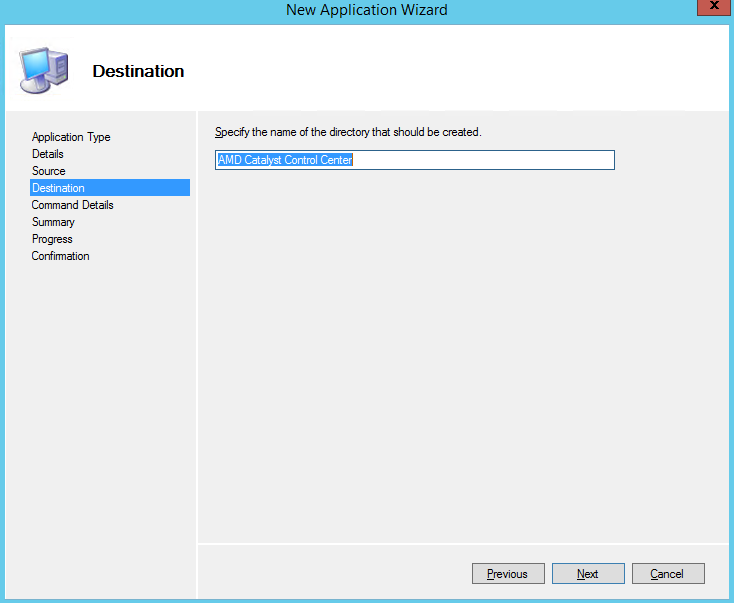 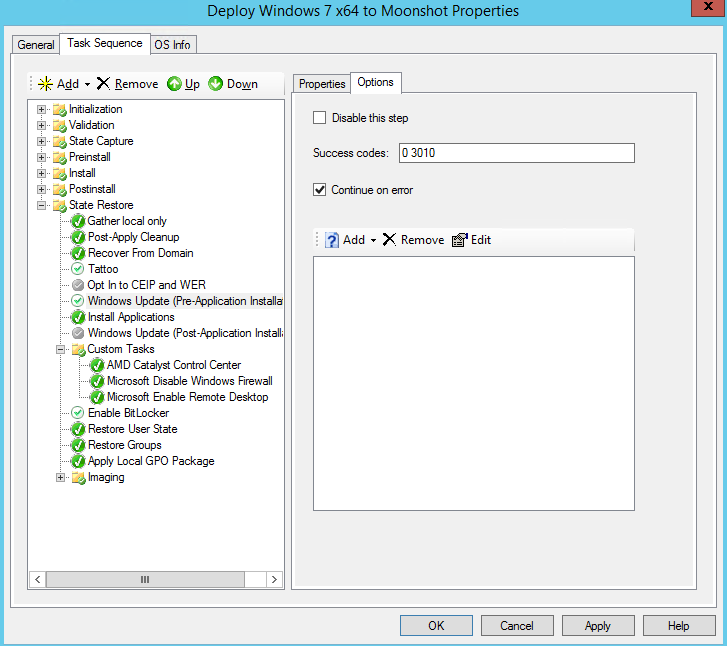 Repeat this process to add the Disable Windows Firewall and Enable Remote Desktop applications. Add any additional applications as appropriate. When completed, click Apply or OK to save changes to the task sequence. 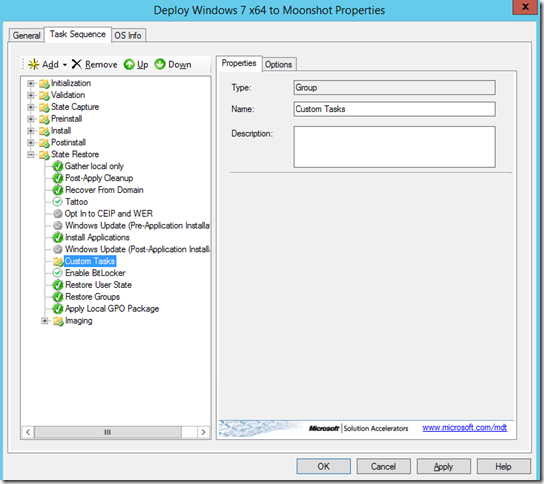 Next, we’ll modify the CustomSettings.ini file to set the Moonshot task sequence as the default and to disable prompting for which task sequence to select. 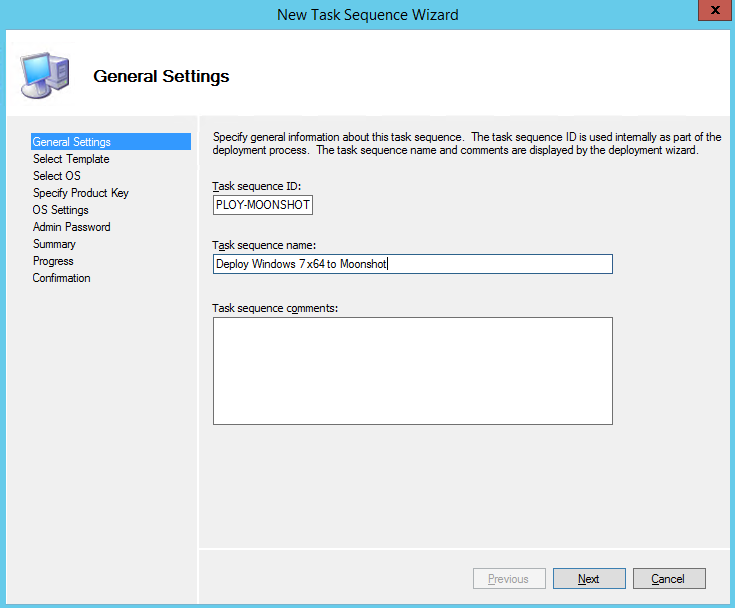 This is necessary as the Moonshot systems are headless, so you won’t be able to select specific tasks sequences in WinPE. 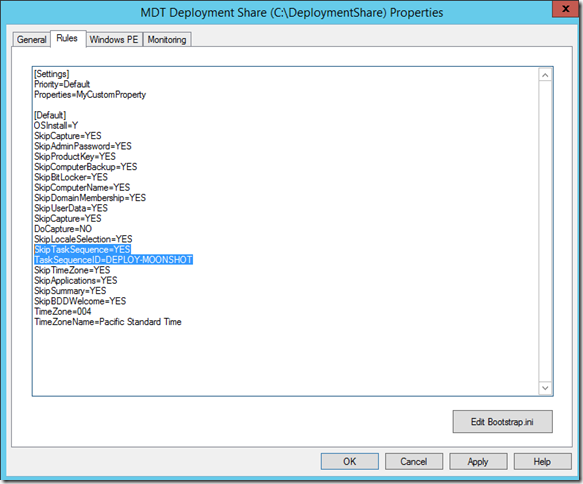 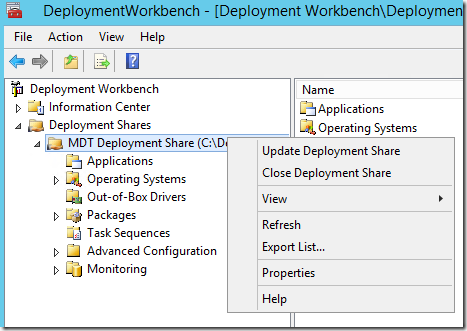 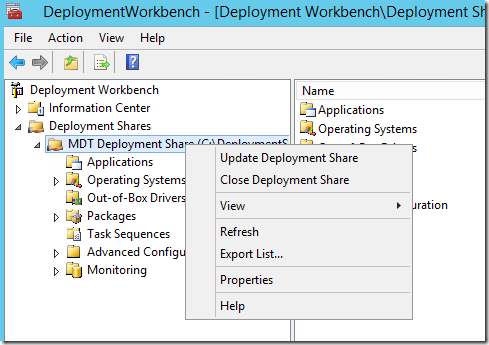 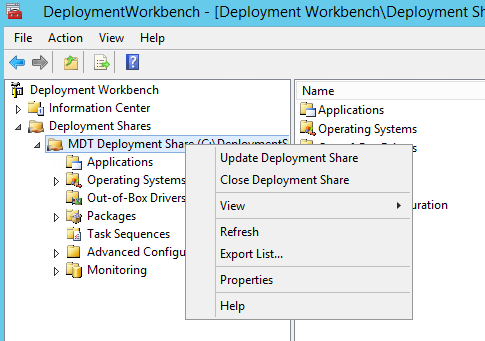 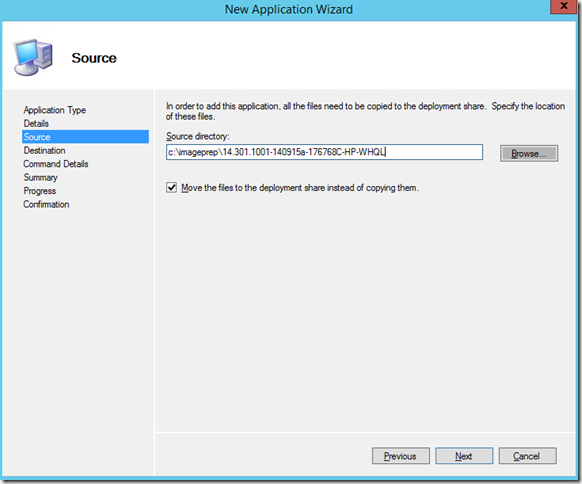 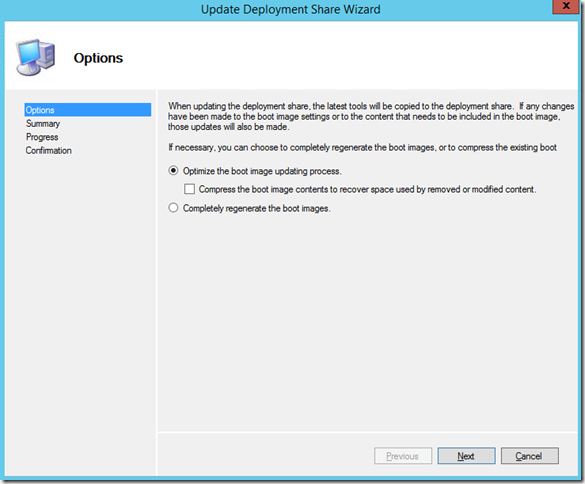 Right click on the Deployment Share and click Properties. 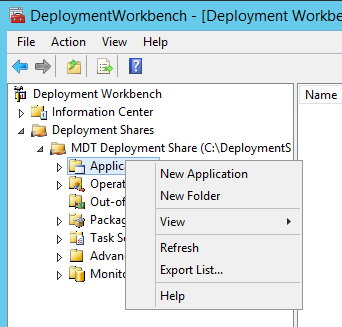 Leave defaults and click Next, and Next. 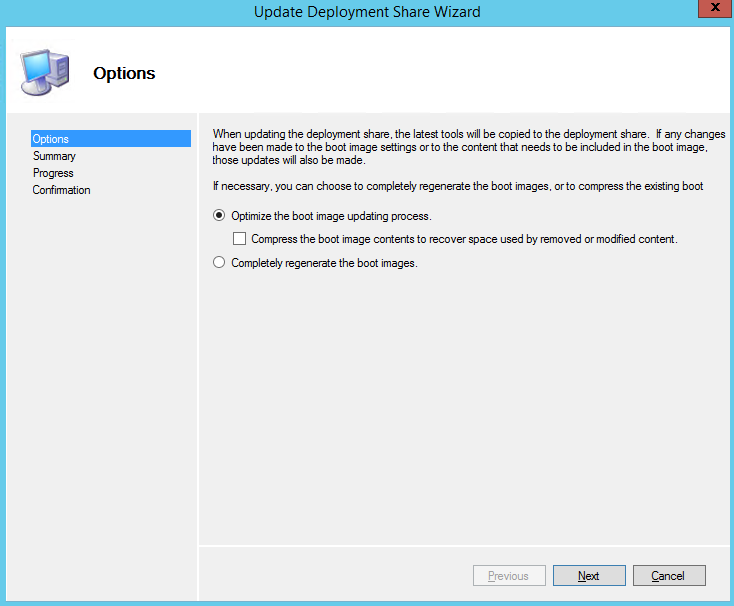 If you have any questions, comments, or feedback, feel free to comment below, message me on twitter or send me an e-mail. 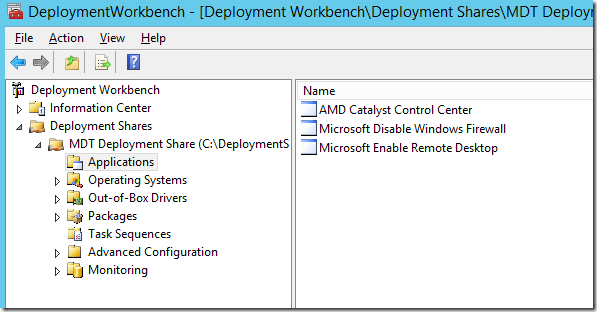 Hi Sir, Enable Rdp powershell not working out for. 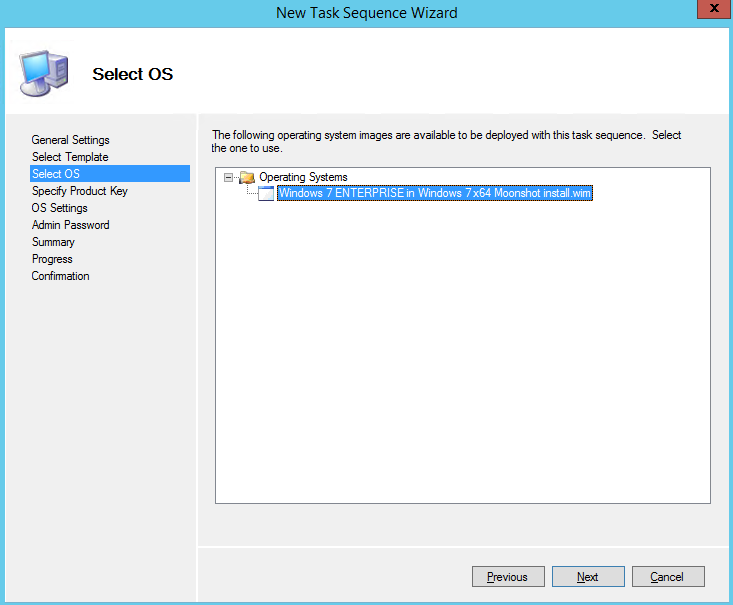 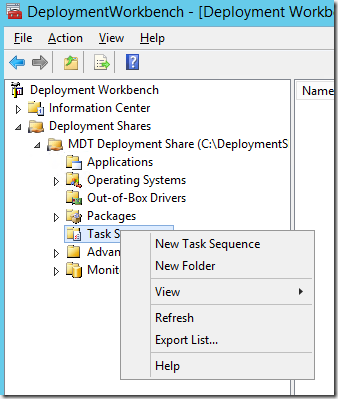 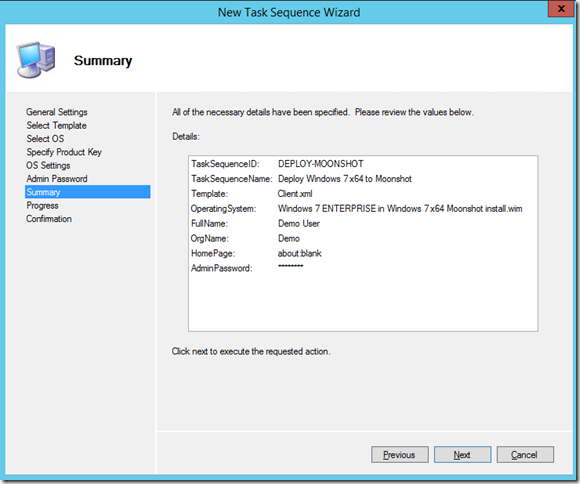 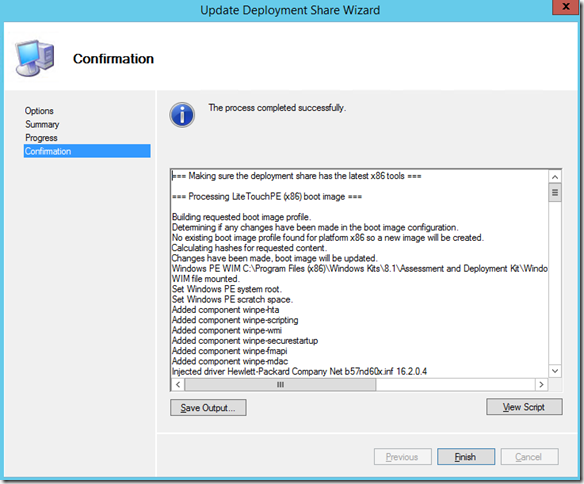 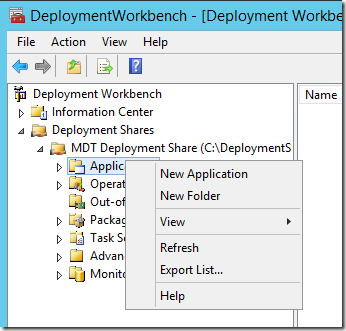 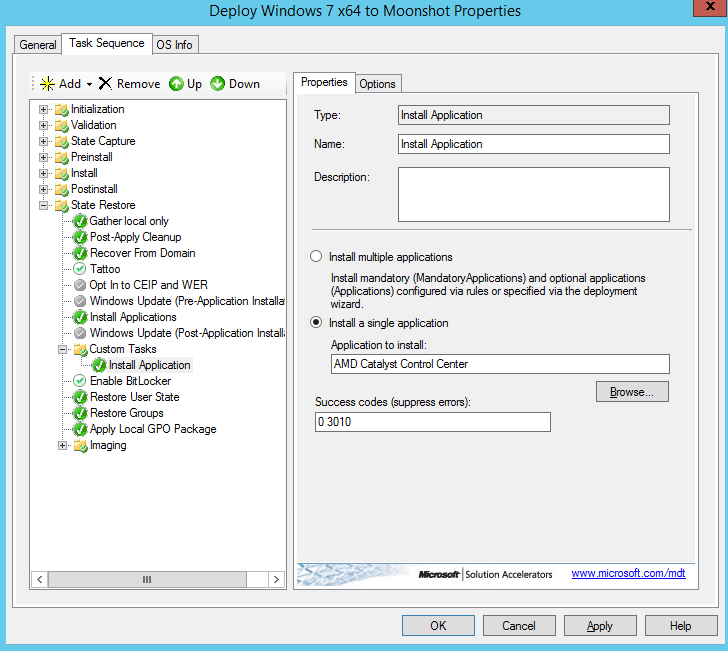 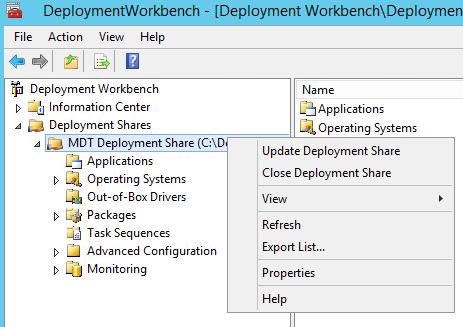 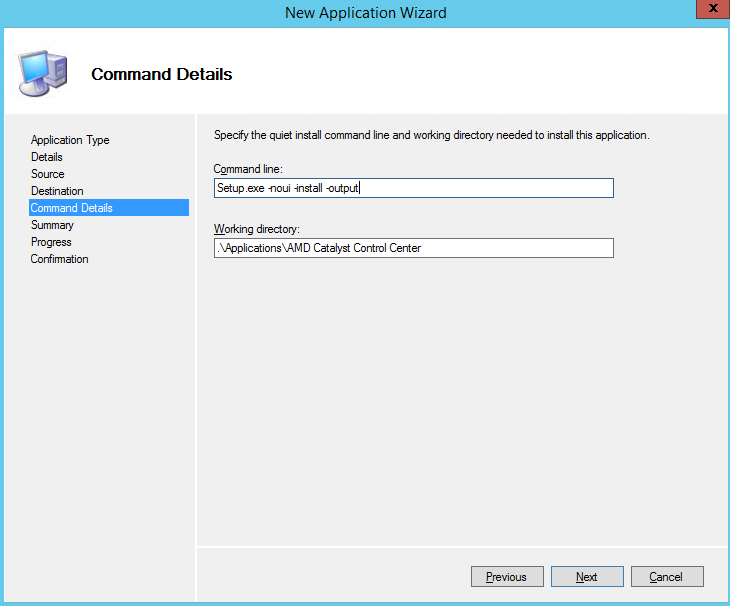 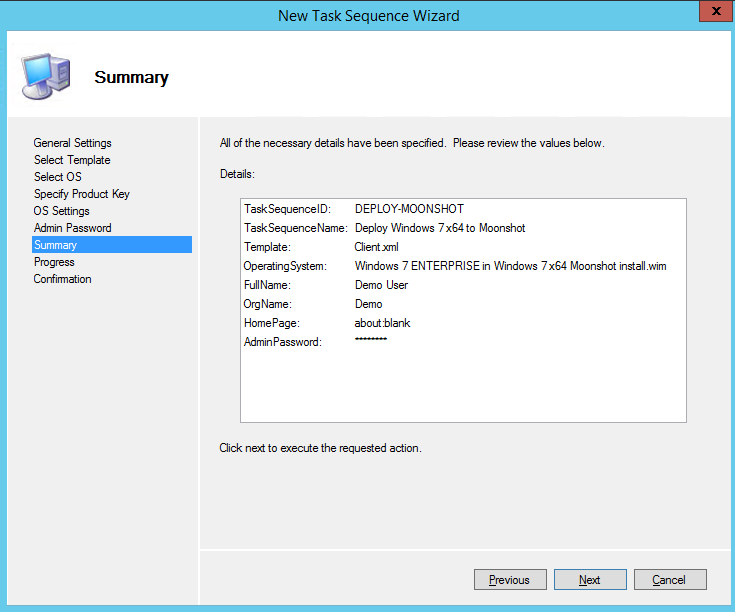 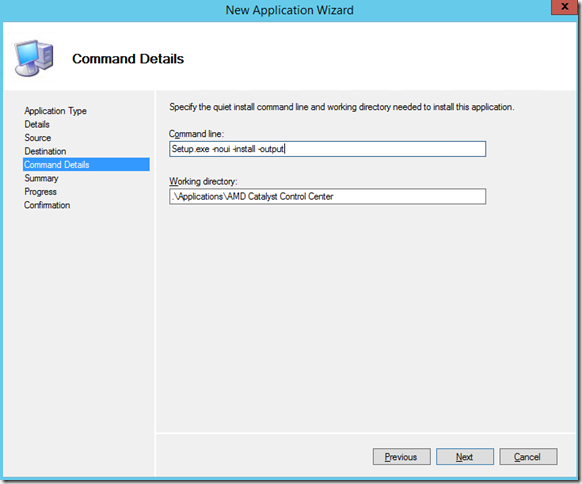 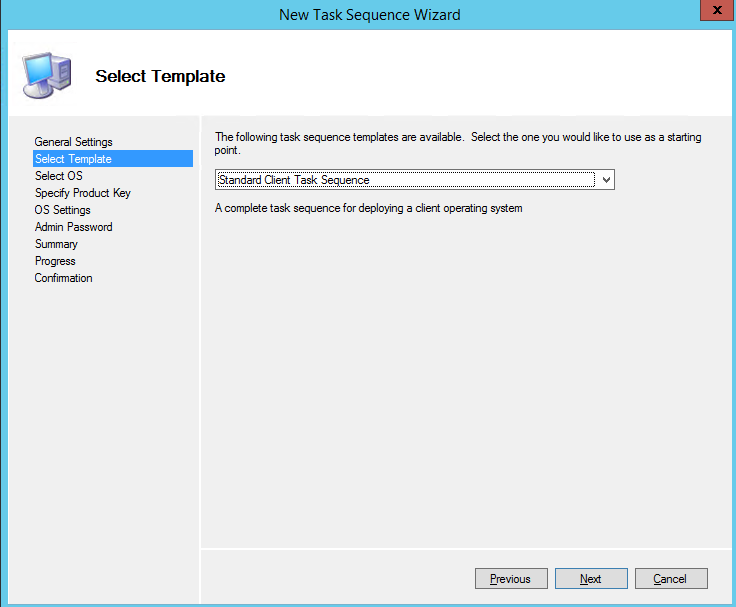 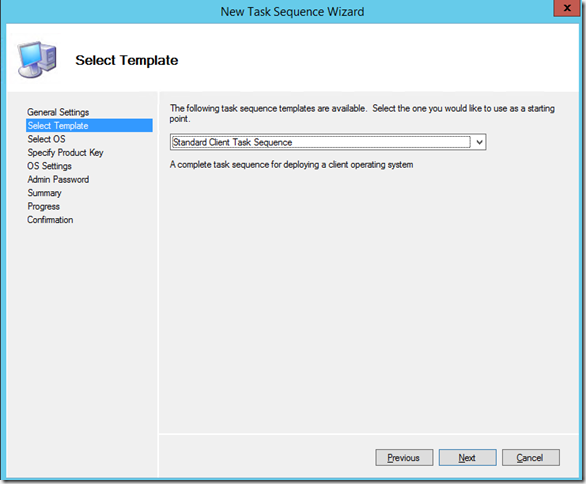 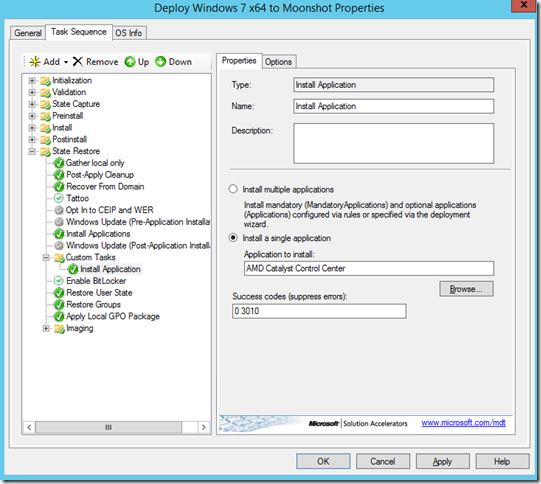 Also is there a possibility to add another admin user using mdt task sequence? 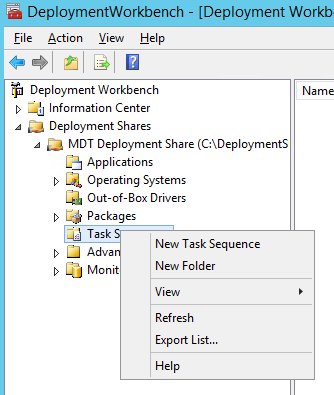 Is there a way to hide the folders in the All Programs/ Start Menu area so users cannot see them?